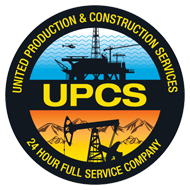 UPCS delivers construction, fabrication and maintenance services to its customers with assets in the onshore and offshore industrial and oil and gas sectors. Our value proposition is realized in our unique ability to take a project from "cradle to grave," which includes the design, fabrication, construction, maintenance and decommissioning of a structure. UPCS's onshore & offshore services are applicable and necessary to each stage of an asset's useable life. Operating in the onshore and offshore sectors requires a heightened sense of safety and skill. UPCS has developed a corporate culture of personnel that puts safety first. Copyright © 2019 United Production & Construction Services, Inc, all rights reserved.